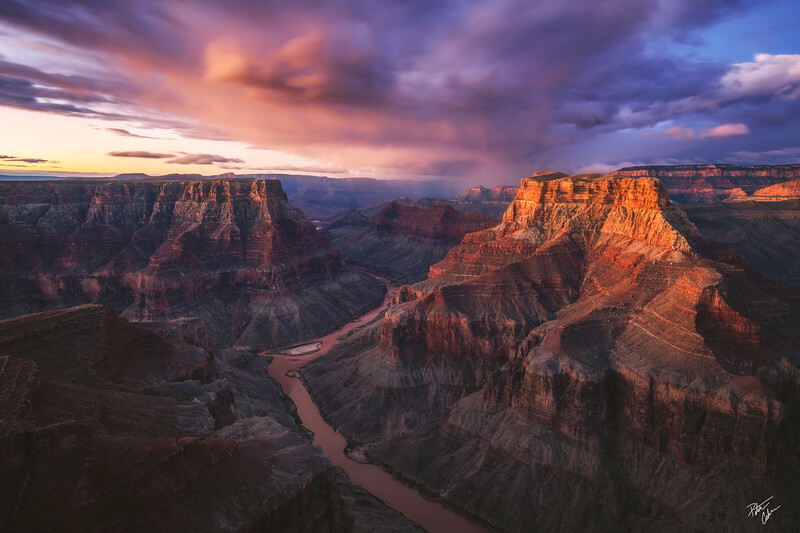 A twenty second exposure over the confluence of the little colorado and main colorado river at sunsrise. From here you can see the prominent Chuar Butte (right) and cape solitude (left). 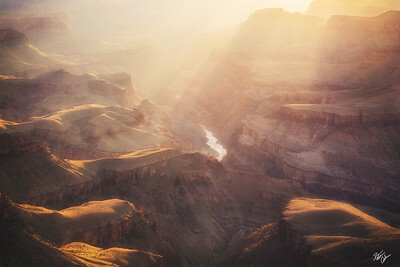 A ten image panoramic of light spilling into the grand canyon from cape royal. 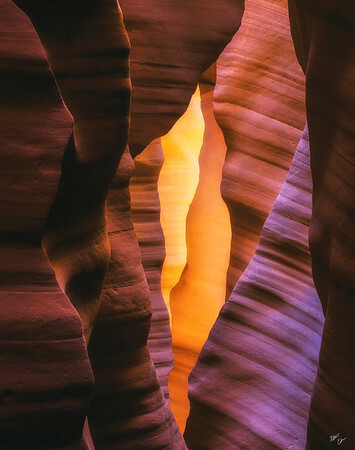 Layers of sandstone are compressed together as light reflects off the walls creating a mosaic of colors from cool to warm glowing light in this remote slot canyon. 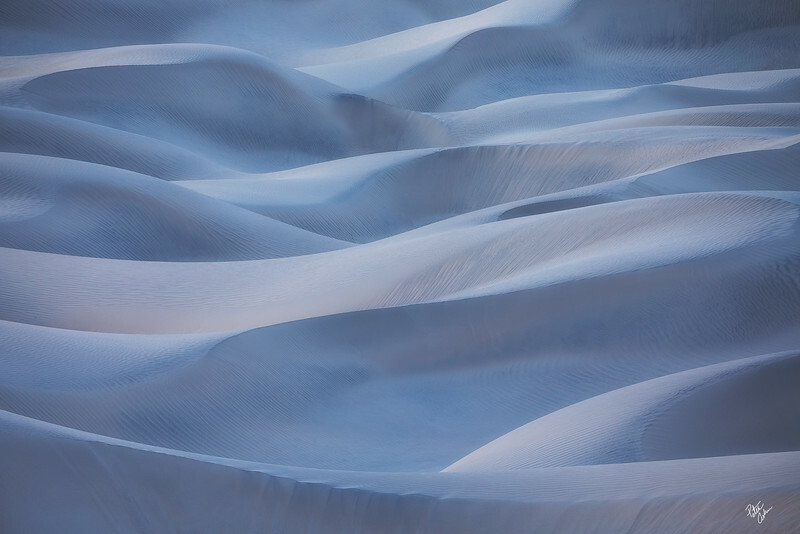 The cool tones of pre sunrise over the dunes reminded me more of a glacier than a dune field. 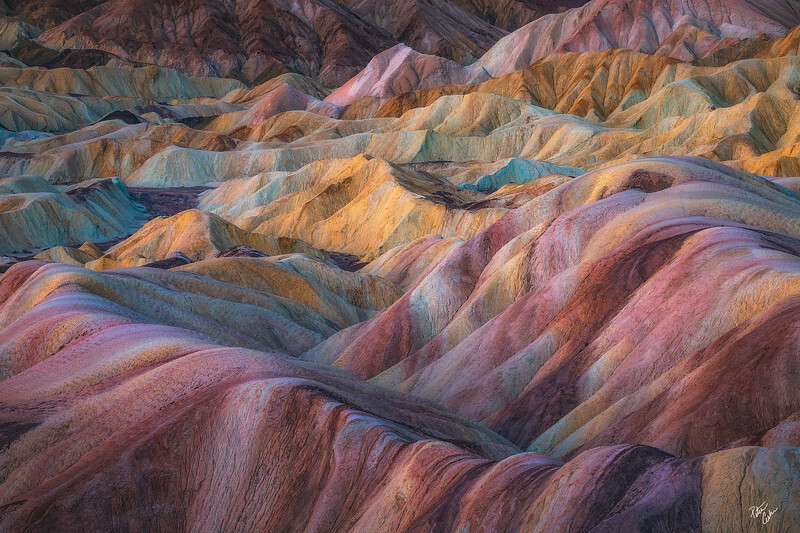 The pastel colors of these badlands get a little more pop moments before the sun crests the horizon showing a wide variety of the colors found in these hills. Colorful sunset light over the superstition mountains as a perfect pair of cholla and barrel cacti enjoy the show. 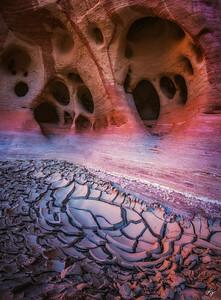 Glowing cracked mud and unusual potholes on a canyon wall appear as a scene from another planet photographed in Utah. 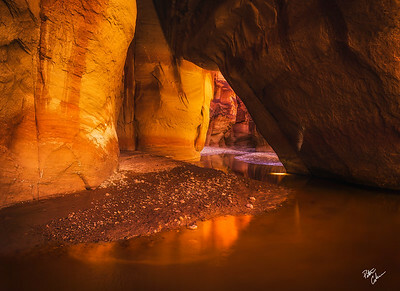 The Paria River cuts through a large arch as reflected sunlight gives off a strong glow in Paria Canyon, Utah. 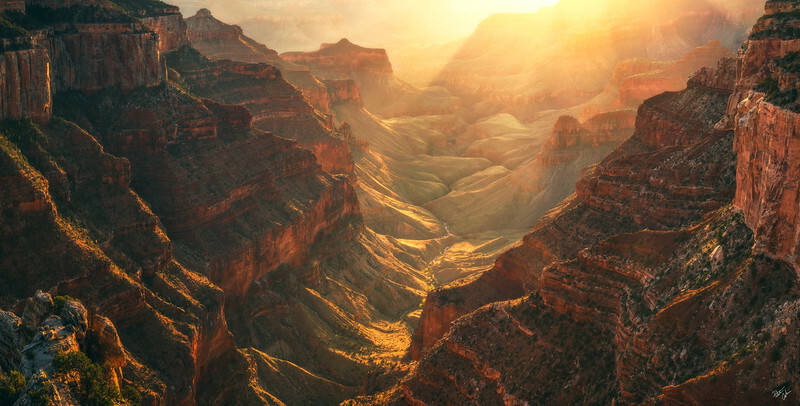 Light beams cascade down onto the buttes and plateaus of the Grand Canyon and Colorado River during a summer afternoon. 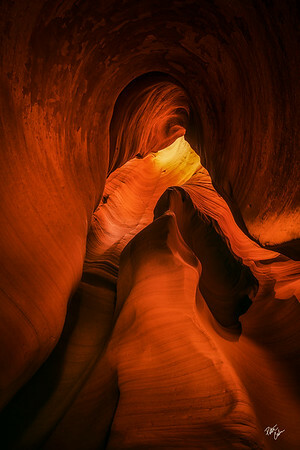 A figure, that of a lady with long flowing hair appears as if in an amphitheater of light and stone within a slot canyon. 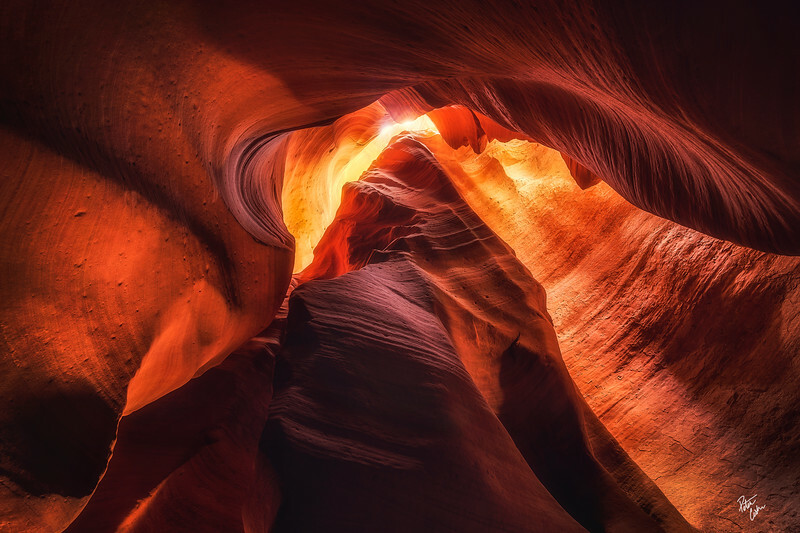 Vibrant red sandstone swirls in a short narrow slot canyon in Northern Arizona. 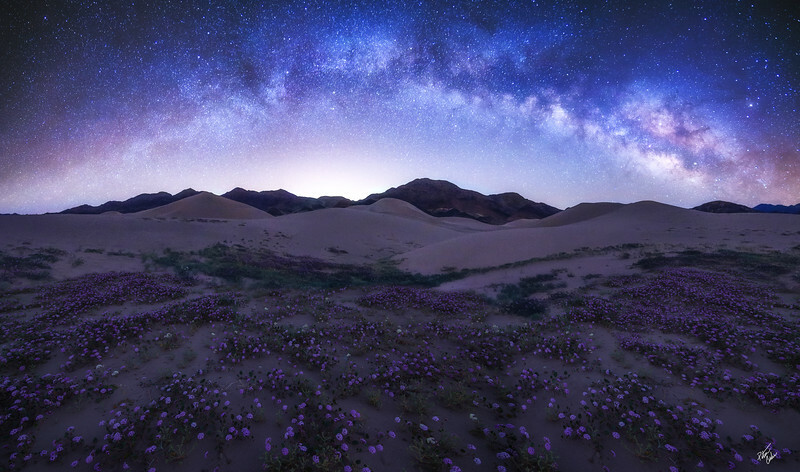 The milky way rises over mountains and remote dunes in Death Valley National Park as a plethora of sand verbena bloom at the dunes edges. The scents of these flowers were incredible and catching them under the stars was quite a spectacle.